When hip pain stops you from doing what you enjoy, it’s time to find a treatment that helps you regain function and get back to life. Athletes and active individuals may describe pain differently because of the variety of ranges of motion and muscle forces each may use. We want to understand where you’ve been with your condition, what you’ve done to manage it, what your limitations are and the affect your condition has on the quality of your everyday life. Our initial patient evaluation starts with a detailed history, review of prior treatment records and physical examination. During the evaluation of your hip, diverse maneuvers and arcs of motion are performed to better gauge the symptomatic areas. X-rays and advanced imaging of the hip, including CT (computed tomography) and MRI (magnetic resonance imaging) scans, are used to detect structural abnormalities, labral tears, hip fractures and other cartilage damage. I'd like to request an appointment to see a Sports Medicine specialist at The Ohio State University Wexner Medical Center. Please call me. 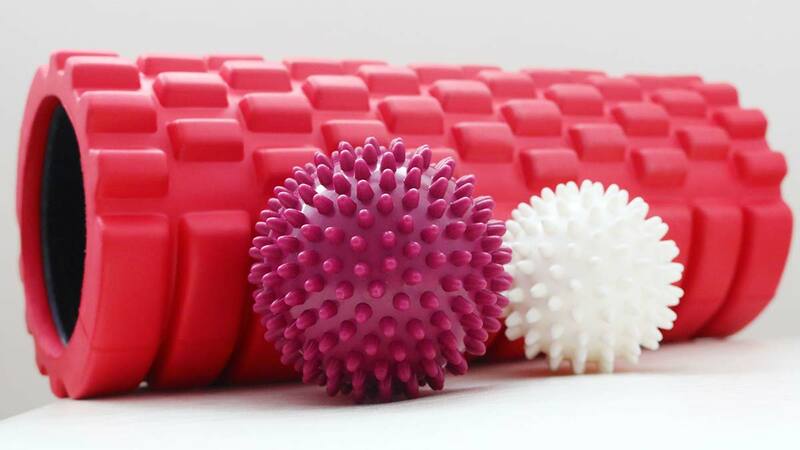 Injured from sports or activity? 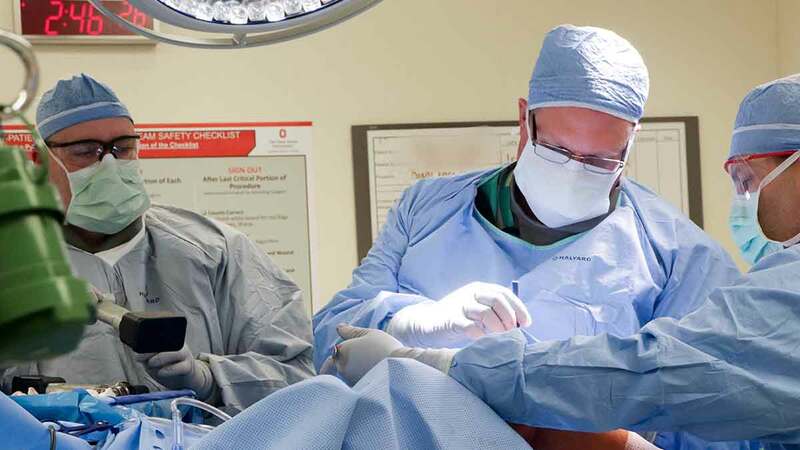 Ohio State’s Hip Preservation Program is about more than hip surgery; it’s about total care of your hip joint. Our goal is to help you become pain-free while regaining physical strength and good range of motion. Your doctor and care team will create a personalized treatment plan that may include nonsurgical options to improve function, reduce friction or protect the hip joint from degeneration. Your physician may use musculoskeletal ultrasound to create images of your hip joint and surrounding structures. Musculoskeletal ultrasound improves accuracy when treating you with steroid injections in the office, and it is used for deeper joints, joints with poor anatomic landmarks and joints with little to no joint space. This technique uses sound waves to create images of the joint and to identify the needle used to inject the joint helping the physician guide it to the affected area. This technique is done in the office and does not expose you to radiation. For hip conditions that have not improved with nonsurgical care, surgical intervention may be an option. Our hip preservation program utilizes minimally invasive treatments to help young and active adults resume an active lifestyle more quickly. Reshaping and repairing the hip joint restores the anatomy of the hip and gives patients the greatest chance of maintaining a healthy hip, with reduced pain and improved function. Hip arthroscopy is a versatile surgical technique that involves entering the hip joint with an arthroscopic camera and instruments. It can be performed to repair hip labral tears and correct bony problems causing femoroacetabular impingement (FAI). Anchors and sutures may be applied to stabilize torn or damaged labral tissue and microfracture may also be performed to repair areas of cartilage damage. Areas of bone impingement on the ball or socket are carefully removed with a high-speed burr to improve the mechanics of the joint. The procedure usually takes two to three hours and patients can typically return home on the day of surgery. Patients use crutch assistance for about two to three weeks after surgery. For hip joints that have developed severe damage from arthritis and other conditions, such as AVN (avascular necrosis) or dysplasia, total hip replacement may be a good option to alleviate pain and restore function. This involves rebuilding the joint by placing a prosthetic socket in the acetabulum, or pelvic bone, and prosthetic stem in the femur, or thighbone. Direct anterior hip replacement accomplishes this by accessing the hip joint through the anterior, or front, aspect of the joint – rather than the side or back of the joint as in more traditional approaches. As a result, the anterior approach causes fewer traumas to the gluteal muscles. Potential benefits include shorter hospitalization and quicker return to activities after surgery. For patients who have cartilage damage, labral tears or relatively mild degenerative changes in their hips, hip subchondroplasty may be an option to preserve the native hip. During the procedure, a bone substitute material is injected into a small hole in the joint, filling any voids or lesions in the bone. Over the few years following surgery, a patient’s body replaces the bone-hardening material with their own healthy bone, leading to potentially permanent repairs. Subchondroplasty is less invasive than a total hip replacement, usually performed along with a hip arthroscopy, which allows patients to get back on their feet sooner. 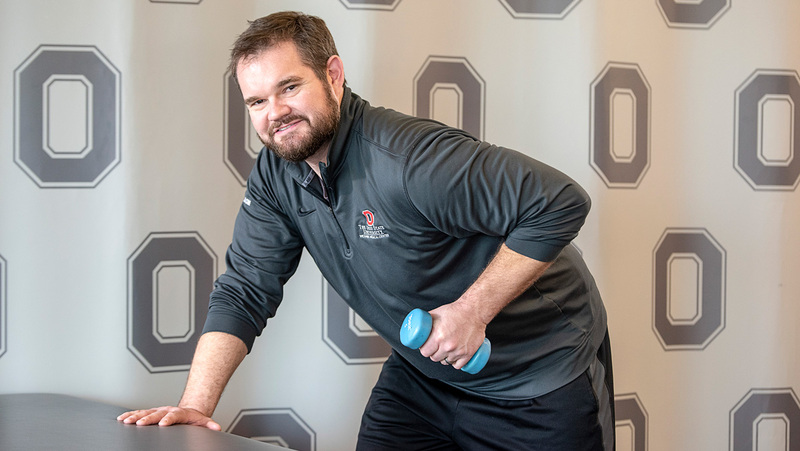 Why choose The Ohio State University Wexner Medical Center for treatment of sports-related hip injuries? Diagnostic Expertise: Through collaborations with researchers in the Department of Radiology at the Wright Center of Innovation, Ohio State has developed advanced imaging techniques for the hip, including cartilage-imaging sequences. Preoperatively, our patients undergo a 3D CT scan of the hip joint, creating a picture of exactly what areas of the bone need to be corrected, allowing more precise surgical management. Surgical Expertise: We are experts at reshaping, repairing and restoring the hip joint through such surgical techniques as hip arthroscopy and direct anterior total hip replacement. In fact, our fellowship-trained hip preservation specialist is one of just a handful of surgeons in the region offering this innovative treatment option. Research: Our Hip Preservation Division maintains a clinical outcomes database to capture pre-surgical, surgical and post-surgical data points so we can understand patient recovery and improve the future of patient care.